NO VENDOR CHAIN! HOME ESTATE AGENTS are pleased to offer for sale this much cared for three bedroom semi detached property located in this popular Peel Green area of Eccles. Having been owned by the original family since construction the property is being offered to the market for the first time in its history. 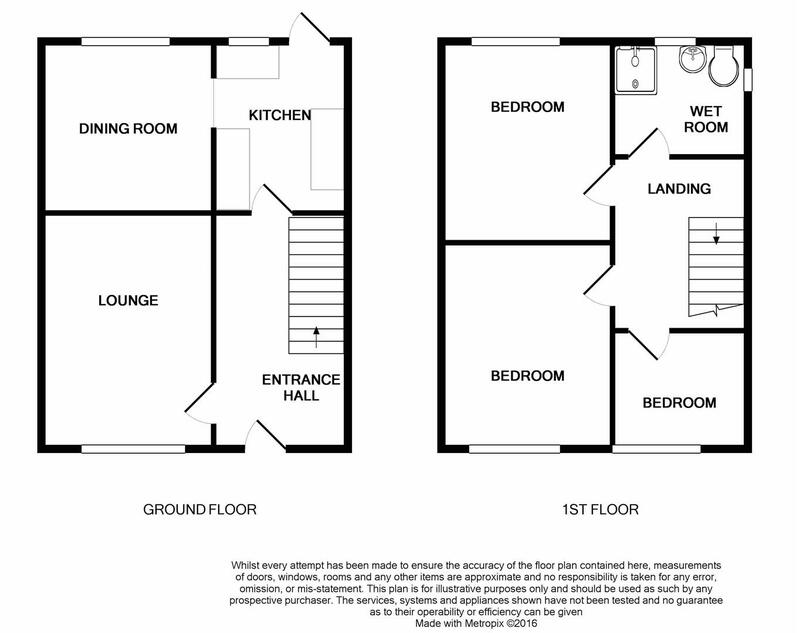 Accommodation comprises hallway, lounge, fitted kitchen with archway through to the dining room, shaped landing, three bedrooms and a fitted wet room. The property is gas central heated and double glazed throughout. Externally to the front there is off road parking and lawn garden whilst to the rear there is a further lawn garden with paved patio area and brick built store. Being offered with NO VENDOR CHAIN! Call HOME on 01617898383 to view! POPULAR AREA WITH NO VENDOR CHAIN! Off road parking to the front and garden to the rear! Stairs to first floor, wooden door to front and single panel radiator. uPVC double glazed window to front, wall mounted gas fire, television point and single panel radiator. Fitted with wall and base units, roll edge worktops, sink unit, space for washing machine, space for gas cooker, wall mounted boiler, space for fridge freezer, tiled to compliment, double panel radiator and wooden door to rear. uPVC double glazed window to rear and archway through to dining room. uPVC double glazed window to rear and single panel radiator. uPVC double glazed window to front, built in wardrobes, storage cupboard and television point. uPVC double glazed window to the front, built in wardrobes and single panel radiator. uPVC double glazed window to front, single panel radiator and built in storage cupboard. Fitted with a three piece wet room suite comprising from low level W/C, pedestal wash hand basin and electric shower. Tiled to compliment and extractor fan. uPVC double glazed opaque window to rear and single panel radiator. To the front there is off road parking whilst to the rear of the property there is a laid to lawn garden with brick built storage.